« First Green Drinks 2018! ACT NOW: Make an urgent submission to GBRMPA on the proposed marine infrastructure development at Clump Point, Boat Bay, Mission Beach. DUE 5pm MONDAY 19 Feb 2018. 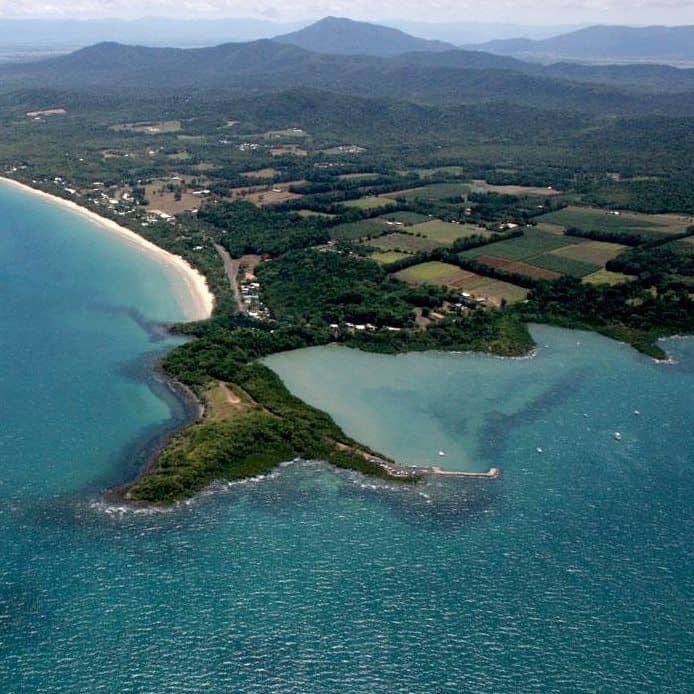 This is Clump Point, Boat Bay, Mission Beach, situated at the meeting point of the Great Barrier Reef and Wet Tropics World Heritage Areas. For decades there has been pressure to enclose Boat Bay at Mission Beach to create a marina. There is now a new proposal on the table for a “safe boating facility” at Clump Point. The Queensland Department of Transport and Main Roads is seeking approval from the Great Barrier Reef Marine Park Authority to construct a new detached breakwater (145 m rock wall) in the Marine Parks, supporting a jetty, 2 berthing pontoons, 5-6 pen berths (for commercial lease) and 5-6 swing moorings (4 commercial, 2 for visiting recreational), and the upgrade of the existing Clump Point boat ramp to provide a third lane and additional floating walkway. The boat ramp is to be designed for infrequent barge use. destruction of the uninterrupted views of the horizon from Perry Harvey Jetty/Narragon Beach and outstanding views of the dramatic natural coastline from Clump Point reserve, affecting both the scenic amenity of users and the intrinsic aesthetic values of the World Heritage Area. Map from the Public Information Package. Refer to Department of Transport and Main Roads website for more details on the development and submission process. When making a submission, it is always best to use your own words and talk about why you have an interest in making a submission and the key issues that matter most to you. there is no substantiated need for this scale of development beyond selected community groups’ stated desires nor adequate assessment of the overall impact of increasing commercial operations on sensitive receptors (mangroves, reef, seagrass, megafauna and other threatened species etc.) at Clump Point. Request GBRMPA not approve the application until the proponent conducts an evidence-based economic needs analysis and corresponding risk assessment, including new community consultation that adequately identifies and includes all relevant stakeholders including conservation groups outside of Mission Beach with an interest in World Heritage. the primary use of the area is for recreational boating, this development extends far beyond the needs of recreational boat users and current commercial operations. It is predominantly catering for the expansion of commercial operations. 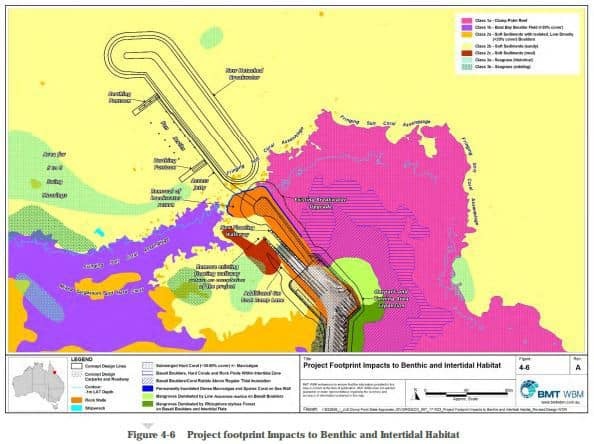 Feasible and prudent alternatives exist and have not been adequately considered, including retrofitting the Perry Harvey Jetty with equivalent features as existed on the old jetty to make use of the existing refueling and water supply facilities (which was feasible and suitable for commercial operations for many years prior to the jetty damage from Cyclone Yasi) or restoring and reopening other recreational boat ramps in the broader region. Request that GBRMPA refuse permission to construct the detached breakwater on the grounds that feasible and prudent alternatives exist. the 145 m rock wall/breakwater is located in the marine park and the World Heritage Area, it has been designed to be detached so as to avoid having to excise the area from the marine park and hence avoid rigorous impact assessment, the impact however is the same. Request that GBRMPA condition any permission granted in a way that requires the proponent to undertake impact assessment equivalent to the level required for excision of the area from the marine park. Boat Bay contains both existing and historical seagrass meadows. The impact of ongoing operations on seagrass and dugongs from increasing commercial operations has not been adequately considered. Request GBRMPA require the proponent to undertake detailed surveys and assessments on the impact of expanded commercial use of Boat Bay on seagrass and megafauna. Simply because the GBRMPA does not have a working policy on cumulative and consequential impacts nor a process for assessing aesthetic values does not negate the authority’s obligation to consider these in assessing permissions. Request GBRMPA require the proponent to undertake an assessment of the cumulative and consequential impact of the development on the Outstanding Universal Value of the GBR including, but not limited to, aesthetic values. Comments will not be regarded as confidential unless confidentiality is specifically requested. Replace this text with your submission. Don't worry about the greeting. Your submission will be sent with the above details as a signature. I want to stay updated. Please add me to your mailing list.